Our Farm at Monte Ceva is located close to the E2 bike lane, the Ring of the Hills. We are at a distance of 700 metres from the path, a mere 5 minutes pedalling! The cycling path is 60 km of even routes curving around the Euganean Hills (70 km if coming all the way from Padova). Below there is a good link where you can download the brochure. Remember that it is still possible to get this from any info-point in the Province of Padova. - From Merlara: follow the direction Urbana-Montagnana and at the roundabout, which is after the village, take the road signposted Casale di Scodosia. - From Chioggia: We recommend following the cycling route number 7 (not everyone is going to Padova!) which is found in the cycling cartography. 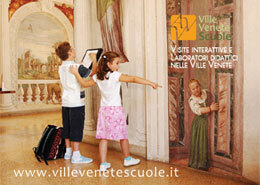 You can find this in many info-points within the Province of Padova. There is also information on where you can find free brochures. The route number 7 is shown on page 20 of the first file, named "Padua and its province by bicycle." To join this route from Altaura you start at either Montagnana (approx. 8 km) or Merlara (approx. 5 km). Directions for Montagnana, from AZIENDA AGRICOLA BIOECOLOGICA ALTAURA E MONTE CEVA, can be found upon in above Section 2, THE RURAL RING. This route touches upon the rural areas and Veneto Villas: Villa Pisani, Villa Barbarigo and Villa Poiana. Fun and safe pedalling to all cyclists!